Who issued the world’s first Christmas Stamp? Did you know that since Royal Mail issued their first Christmas stamp in 1966, over 17 billion Christmas stamps have been printed in Britain? But as popular as they are today, Great Britain was late to the table when it came to issuing Christmas stamps. So which country can lay claim to issuing the first Christmas stamp? Denmark claims it printed the first Christmas stamp in 1904 after an idea from postmaster, Einar Holboell, to add an extra stamp to the Christmas mail and the money go to help sick children. However these “stamps” were actually labels and not issued for postage. Austria issued two stamps on 12th December 1937 for use on Christmas mail and New Year greeting cards. Finally, there is Hungary. Many people think the 1943 Hungarian stamps to be the first real Christmas stamps as they feature religious imagery. The World’s First Christmas Stamp? It is fair to say however that the issue of the Canadian Christmas stamp did not really have much to do with Christmas. In fact it was a result of then Canadian Postmaster General William Mulock lobbying to standardise postage rates across the Empire at one penny. After failing to get the new rules introduced at the 1897 Universal Postal Union, Mulock returned the following year more determined than ever, with a new proposal. This time he succeeded, and in July 1898, the Imperial Penny Postage rate was unveiled. Canada made the move to be effective on Christmas day 1898. 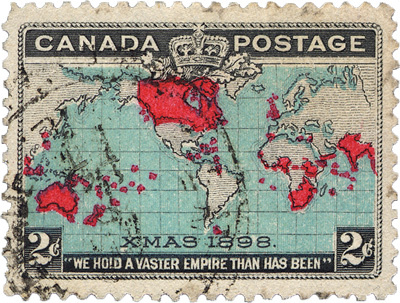 As a result, the stamp was officially released on 7th December 1898 bearing Mercator’s famous map with the British Empire highlighted in red, and also the words “XMAS 1898”. 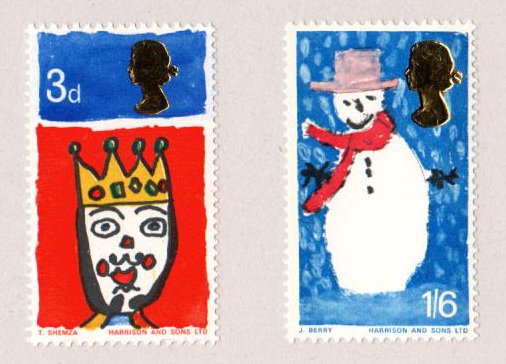 So who can lay claim to issuing the first Christmas stamp? Well despite the controversy, to me, there is only one winner – and that is Canada. Whether it was issued specifically for Christmas or not, it bears the words ‘Xmas 1898‘ and therefore I think it rightly deserves the title of first Christmas stamp.